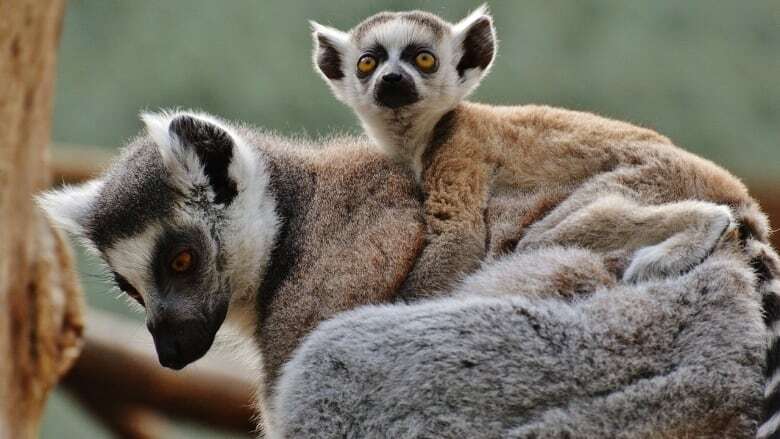 For Father's Day: Can animals teach you how to be a better Dad? This weekend is Father's Day. Across the country dads will be waking up to a breakfast in bed of burnt toast, runny eggs, floppy bacon and gritty coffee. And maybe alongside the tray, will be a badly-wrapped parcel containing a shockingly ugly tie, which dad will wear with pride — but maybe not in public. In the spirit of Father's Day this weekend, we'd like to take the opportunity to offer a little parenting advice. Not the normal kind that'd you'd find in pastel-covered parenting books. This is Quirks & Quarks, after all. No, this is parenting advice inspired by science. It comes from Dr. Jennifer Verdolin, an animal behaviourist, who's spent countless hours observing and studying the natural world. A natural world where the experience of parenting can be brutal and generous, harsh and sometimes surprisingly beautiful. 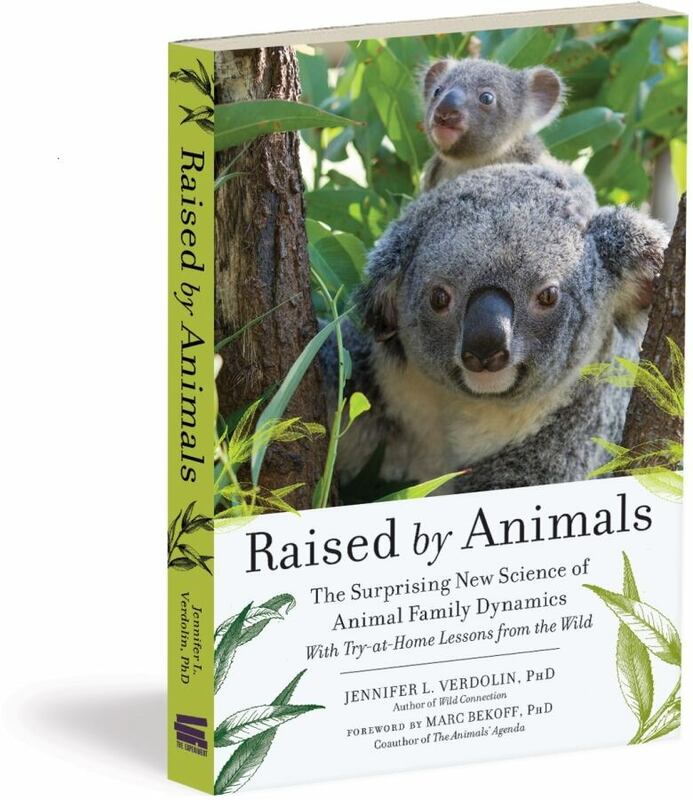 Dr. Verdolin explores the natural world of parenting in her new book — Raised by Animals: The Surprising New Science of Animal Family Dynamics. And in that world, she finds no shortage of lessons for human mums and dads. Bob McDonald: Well what inspired you, an animal behaviorist, to write a book about human parenting? Dr. Jennifer Verdolin: Well you know I've gotten into this habit after watching animals for so many years of recognizing some of those similarities when I'm watching the human animal. BM: Well what kinds of things did you see that makes you believe that we should take advice or maybe inspiration from the animal world? JV: Well lots of things, from the way that some animal parents deal with sibling rivalry, the way that some animal parents deal with discipline, even figuring out how many offspring to have. And so really it runs the gamut from how we get pregnant, all the changes that happen when we become parents, not just physiologically or to our bodies, but also our social structure in our our social circle, and who we interact with. 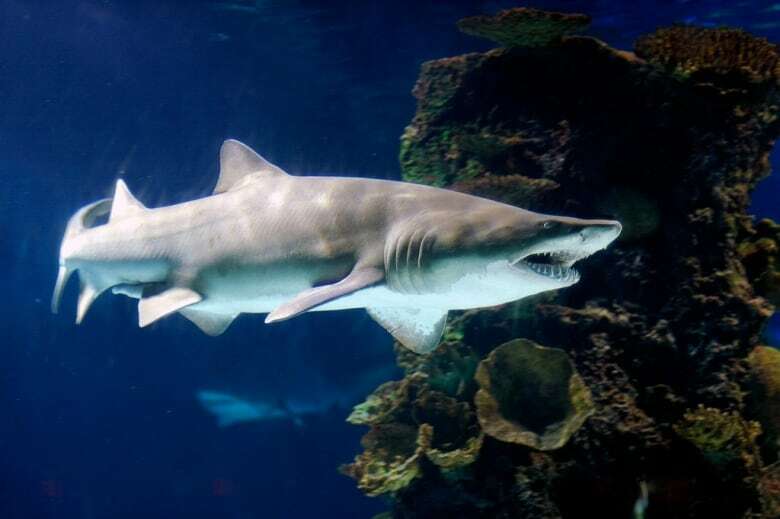 And I think that other animals are a really great example of what to do, what not to do, and how we can learn and maybe apply some new strategies as we're raising our own families. BM: Now one of the first things you talk about in the book is pregnancy, and lots of animals share the same burdens pregnant women do, nausea, food aversions, cravings. What can we learn from that? This is a really neat area of research. I think the main idea that the research shows is that all of these things, food cravings or nausea are a way to protect the mom and the developing baby, because the certain foods and plants have certain toxins, and of course with some meats, you can have certain infections that can happen from bacteria like salmonella or E. coli. One thing that is similar that we do have good information on is something called geophagy. This is where you have a craving for clay, dirt, chalk, or even eggshells. And the reason for this is because during pregnancy the demands of pregnancy are so enormous, that a lot of times pregnant females will be low in some essential minerals like zinc, magnesium, and even sodium. 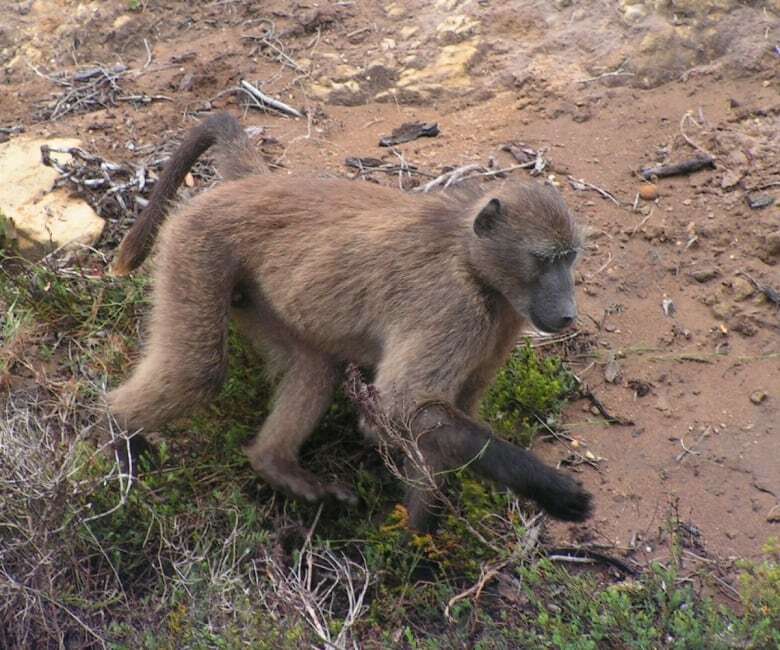 We share this trait with Chacma baboons, so even though everybody in the community will sometimes eat clay, pregnant females do this more often. And we also know that clay relieves nausea, so if you're feeling that way, then one of the lessons is go talk to your doctor. You're not having a psychological problem. It could really be a physical manifestation of the demands of pregnancy. BM: Well when we think of pregnancy, we're usually talking about female animals, but being fathers in all of that, but what about the roles of fathers in the animal world? JV: Probably the most extreme example of males getting involved in this whole pregnancy thing is seahorses. So males in this species will actually get the equivalent of pregnant. And in fact, the pouch where they house the developing embryos is highly vascularized. So there's enormous blood flow. They also regulate the amount of oxygen in and out of that pouch, so it's very similar to a uterus, which is astonishing, right, because this is just a seahorse. 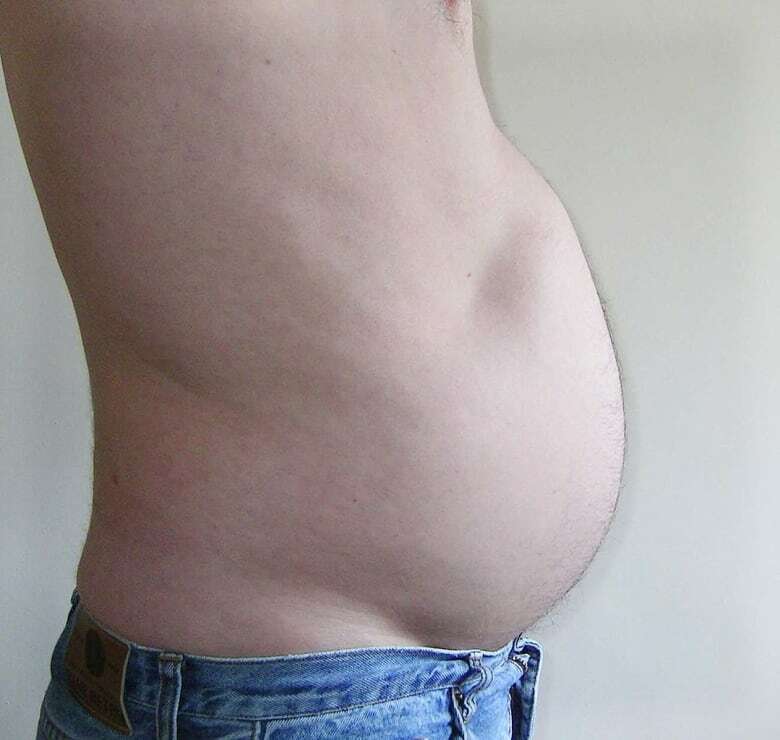 Now in human males, we'll get sympathy pregnancy. One of my favorite kind of comparisons with human males who might put on a little extra weight. They're experiencing some hormonal changes that happen more towards the latter end of pregnancy, so they might have a rise in cortisol levels — that stress hormone. Then once the infant is born they'll have a shift in prolactin levels. We tend to think of prolactin as something that only is involved with lactation for women, but in fact, prolactin is the hormone of fatherly love. Common marmosets, which are the sort of one one type of small primate that's found in Central and South America, the males will put on weight at the end of the pregnancy. So they get kind of pudgy right before their offspring are about to show up. And also, the hormone level prolactin rises once their offspring show up. We see the same pattern in human males. BM: So what should we take away from that? JV: Well I think one thing we can take away from that is that we tend to have this idea that everything that's happening during pregnancy is only happening to the female. Very clearly males are affected hormonally, psychologically, and even their brain structures are changing as they go through this process too. So I think that for some human males and soon-to-be-dads, understanding that they're going through some of these changes can be helpful. But then also, I think, once once your infant has arrived, understanding that your role is crucial and is just as important as the mom. BM: Well you take a whole section of your book on that, on parenting once the child arrives. You look at the way the animal parents share their duties, which is often an issue for humans. Take me through that. 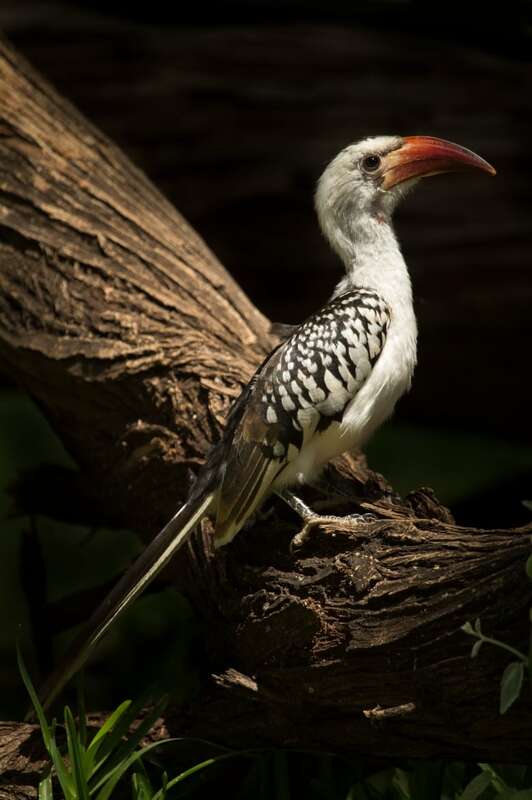 JV: So here's the thing: there's so much variability in the animal kingdom, so red-hornbills are one species of bird where the mom is literally a stay-at-home mom, sort of encased in a cavity of the tree and locked in there with some mud covering it with only a tiny slit. And the male's' job is to go out, get food, and deliver it to the mom and the chicks until the offspring are developed enough that they can fly out on their own. But other animals divide things up much more equally, like the long-tailed bushtits. They face the same problem that a lot of us do. Now each bushtit parent would prefer if the other parent did all that work. We can relate to that as well. And one way to solve this problem is to only give as much as the other parent gives. We know this as "keeping score." And so this is what long-tailed bushtits do. Basically they both go out, get food, and then they both come back to the nest at the same time. And they watch each other to make sure that the other is giving as much food before they give up their food. And so when both parents are contributing equally, at a high intensity, the offspring do better. And that's sort of the lesson for us. You've got to negotiate what works for for both of you and what's the best for your family. BM: So it's more than just sharing among the parents. It's resolving the relationship between each other the two parents…? JV: Oh absolutely. I think this is a mistake a lot of humans make is they devote everything to the kids and ignore their own relationship. You don't want to end up in a situation like a cockatiel where if one partner is not getting the attention or affection it wants, they simply divorce and find a new partner. BM: One of the sections in your book were you make a really strong case is a situation that affects, not only the parents, but I think friends of the parents, anybody who's around the parents sometimes, and that's discipline of the children. You were inspired by a scene that you saw in a supermarket. Tell me about that. JV: Yes. I was in Colorado. We were filming a documentary on prairie dogs. I see this young girl, maybe three years old with her dad. She wanted something probably sparkly, shiny, or sweet and she started to have a meltdown. So this temper tantrum, it escalated essentially to a battle of wills. And what occurred to me at the time was, I wish that human parents would know that other animals' offspring also throw temper tantrums. And so by and large, animal parents ignore temper tantrums. And I'll tell you, young animals will throw a tantrum that matches anything you might see from human toddlers complete with throwing themselves down to the ground screaming and flopping around. 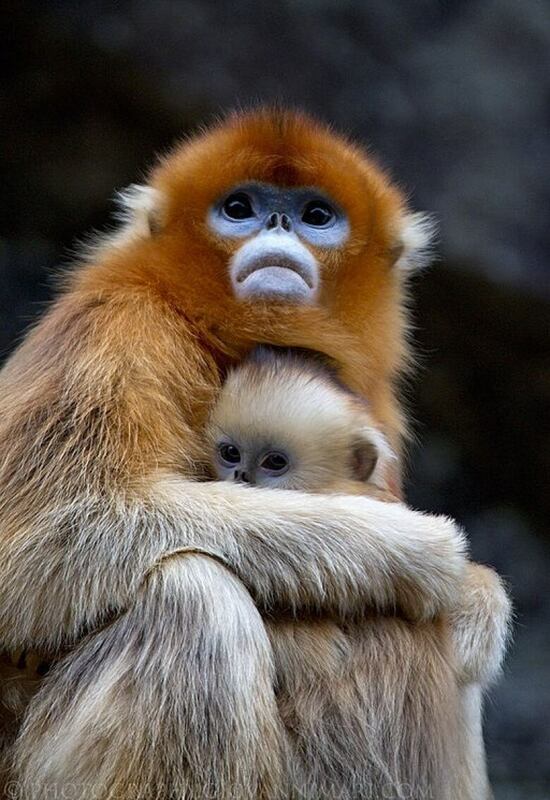 I've seen video of a snub-nosed monkey catapult itself up into the air, as if his world is ending in that moment. BM: And what did the parents do? JV: Nothing. Actually the mom put her hand over her face and still tried to nap because they're self-limiting. They extinguish themselves. And of course you want to make sure your child is safe and not doing something dangerous. But for the most part, ignoring tantrums is often the best medicine for them. JV: It is. It's very rare. One situation that I think a lot of human parents can relate to is the bystander effect. So like in that supermarket, that dad might have been more motivated by seeing everybody else around him either look at him. We're so judgy about parents, especially when a child is having a tantrum. There's a lot of social pressure for parents to try to make it stop. Rhesus macaques experienced this. The mother, if if her infant is throwing a tantrum in front of friends or family, she ignores it or gives in, but when there's a dominant individual present, then the mother gives in almost 85 per cent of the time. And this is because she could be punished by this dominant animal for the fuss that her infant is making. We're not Rhesus macaques, where we go around stomping, kicking, and slapping mothers whose toddlers are throwing tantrums, but we kind of do something where we're looking or making comments, thinking they're not good parents instead of being compassionate about the fact that children have tantrums. And so I think that's something to take away from that example. BM: Well there are a lot of lessons from nature that you pass on in your book, but there's one that's a little mysterious to me. We, after all, are animals and we're shaped by nature in our own evolution. Why do we need to go to the animal kingdom to learn these lessons? JV: I think, in some sense, we have become disconnected from our own nature and we are driven largely, these days, from a lot of cultural pressure or cultural evolution, if you will, that's not necessarily giving us the best tools that we are adapted for when it comes to raising families or having kids. And so I think that the lesson there is that understanding we are animals, and we've created environments that are extremely stressful for us, which fundamentally alters our capacity to be good parents. I think, in doing this, I can bring people back to reconnect to their nature and understand why we might behave in certain ways. Bees are disappearing - can pollinating flies pick up the slack? FULL EPISODE: For Father's Day: Can animals teach you how to be a better Dad?